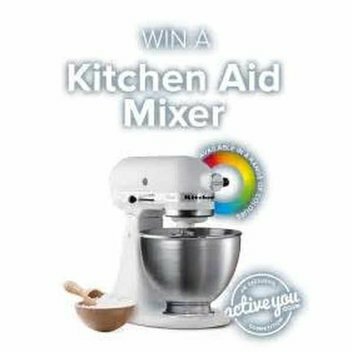 Win a Kitchen Aid Mixer with Active You | FreebieFinder UK | Freebies, Samples, & Other Free Stuff. Active You currently has a Kitchen Aid Mixer up for grabs on their latest website. Kitchen Aid's stand mixers mixers let you make everything from sweet treats to veggie noodles, burgers, fresh pasta and more by using the power hub that fits over 10 optional attachments. This was posted 1 year ago 10th March 2018 and expired 1 year ago 15th March 2018. Win this incredibly versatile kitchen appliance by entering this competition on the Kitchen Aid competition site.